December Greetings from Simply Beautiful Saint Lucia! Presently besides Guy and Marylin we have a number of part time volunteers that are great partners with us in the various ministries that we are involved in. Without them it would have been really difficult. Among others are Ruth, Shona, Melissa, Manessa, Denise, Philonene, Marguerite, Anne Marie, Melody and the many others that are always ready to stretch their time table in this busy era to see the kingdom of God advance. - Marcus is an old time Saint Lucian YWAM friend who completed his DTS in Barbados. He resides with his family in the town of Soufriere, South West of the island. 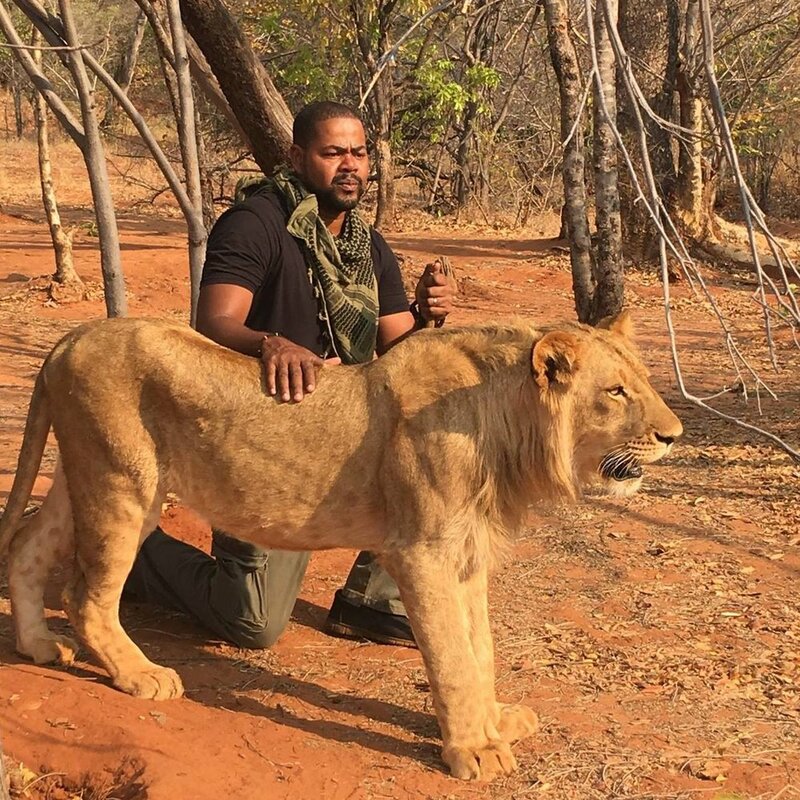 God has been leading him for the past few years into Adventure, Survival and Community Development Outreach. He has decided to develop the ministry ‘Kairos Konnection’ on the cover of YWAM Saint Lucia. We are looking forward to developing NIKO (click on the hyperlink to learn more about NIKO) and other Mission Adventures programs from YWAM Saint Lucia to the Nations; let the ‘Caribbean Wave’ rise! We are looking forward to working more closely with Marcus as Associate Staff to develop the various aspects of the vision of YWAM in Saint Lucia, reaching the nations from “Simple Beautiful“ Saint Lucia! - Merle and Jenny are a couple of seasoned missionaries who served in Eastern Europe for some time and are here for a few months transition before heading back. They are assisting us in various ministries as they stay at the base with us. So far we are thankful for their presence and expressed desired to support the ministry during their few months with us. - Marlyse is a skilled Cameroonian friend that is volunteering short term from time to time. She assist us in some areas of web site translation, library and more each time she passes through traveling to Canada and back. We continue to work with the Secondary Schools here. 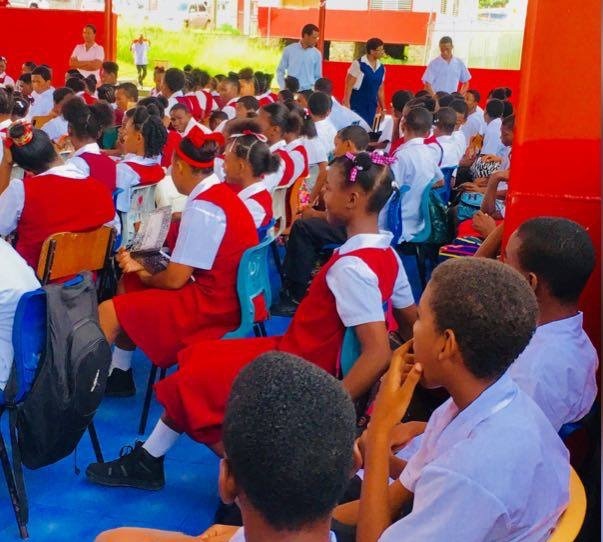 For a few years now and until this past term we have been having sessions of about an hour weekly with one particular Secondary school in the Castries area. We are planning to launch a youth Alpha Courses Series with the class of about 35 students next term. Our Kids Club program has been doing really well. The program is mainly geared at children ages 4 to 14 years although we do have a few younger than 4 and older than 14. We have a core of about 16 children that are quite constant but can have 30 kids at a time. We recently had our old friends from Bois Patat join us again after some time of break. Bois Patat is a community in the outskirts of Castries where we originally held the kids club but had to pause due to various constraints. Presently the kids club is taking place at the YWAM base, although the ideal would be to relocate it in the community. We have to go pick up the kids and a major constraint for this is transportation. Every Friday we assist the Salvation Army at their Soup Kitchen, packaging meals and distributing to the homeless in Castries. After that (when we have enough volunteers) we run a Prayer Station for about an hour at the Square. Sharing God’s compassion for those in need and letting them know He is concerned about their felt needs are some of our preoccupation during this time of ministry. The Prayer Station in addition to those also give us the great privilege to pray for the nation (because the nation above all is it’s people) listening to God’s heart for the problems people are facing as we bring them and their family before His throne. - Part Time night classes MDTS: our group of 9 students completed their part time course last September although we haven’t organized a formal graduation as yet. All the students have expressed how the program impacted them especially the outreach with YWAM Guadeloupe. - Summer mission and outreach to Guadeloupe: last summer 14 people including the students from the MDTS1 (Part Time Night Program) spent one week at the YWAM Saint Lucia base. They participated in various ministry before heading to Guadeloupe. Eleven out of the fourteen persons traveled to the French Island for one week where they served alongside YWAM Guadeloupe with Samuel and Joselita. - We had a workshop: “Parenting 21st Century Kids” led by Marlegrecy N’ovec, (Ed.D) a Veteran Educator from Lehigh Acres, Florida, who came to volunteer a few weeks with YWAM Saint Lucia. She served in various areas besides the improvised workshop that showed the participation of nearly 30 Saint Lucian parents and future parents. During the visit of Dave and Nancy a second board meeting for the year was organized. As usually it was the time to share some of the challenges to listening ears, listen to their advice and receive their blessings. Many Board Members made commitments to help with some of the challenges we were having with rent arrears. The meeting also saw the welcoming a new board member. - We thank God for providing through friends to be able to pay monthly bills. He remains faithful!!! - Thank God for sending short term staff to help for a few months. We have a mature couple from the US that are seasoned missionaries. - For all our part time volunteers and associate staff; what a mighty God we serve!!! - pray for the couple that is with us short term that they will settle in nicely, see how their calling will fit in the vision of YWAM Saint Lucia. We take this opportunity to thank you for standing with us in 2018 and wish you and your family a Christ Centered Christmas! May the Christ of Christmas continue to be your hope and safe refuge!